General John Charles Black was born January 27, 1839, at Lexington, Holmes County, Mississippi. He died suddenly in Chicago, August 17, 1915, having been in his usual health up to the hour of his departure. He became a member of the Military Order of the Loyal Legion of the United States, and Commander of the Conmandery of Illinois in 1896. The number of his insgnia is 3696. His father was a minister of the Presbyterian Church. His family on both sides was of the best and he was born with the physical, mental and moral endowments which gave rich promise of the success which crowned his life. When Fort Sumter was fired upon April 13, 1861, brothers, John C. and William P. Black, were college boys attending Wabash College at Crawfordsville, Indiana. The next morning, on the 14th day of April, 1861, both enlisted as private soldiers in the 11th Indiana Volunteers, the Colonel of which was he who became afterwards a Major General in the Army of the United States, and one of the great literary characters of the world, General Lew Wallace. John C. Black was made Sergeant-Major of this regiment and with it he took part in the battle at Romney, West Virginia, on the 11th day of June, 1861, one of the very first engagements of the war and received high commendation for his bravery and efficiency. On the expiration of their three months' period of enlistment these brothers returned to their home in Danville Illinois, and together recruited Company "K" of the 37th Illinois Volunteer Infantry. John C. Black was elected Captain, and William P. Black First Lieutenant of this Company, but on the organization of the regiment John C. was elected Major and William P. was commissioned Captain of Company "K." Major Black was thereafter promoted successively for distinguished bravery on the battle field, Lieutenant-Colonel and Colonel, and, at the close of his military service, he was brevetted Brigadier-General of the United States Volunteers. During the years of his army experience he served in all the states of the South except the two Carolinas and Georgia. His regiment was at one time in the Army of the Potomac, but his principal service was in the Army of the Tennessee; however, for short periods he also served in the Army of the Southwest, and, at the close of the war, in the Army of the Frontier, and the Army of Observation on the Mexican Border under the command of General Philip H. Sheridan. He took conspicuous part in many skirmishes, sieges, marches and battles, including Pea Ridge, Prairie Grove, Vicksburg, Mobile, and in Blakely's Batteries, the last battle of the War. He was severely wounded at the bat-tle of Pea Ridge, March 7, 1862, and again at the Battle of Prairie Grove, December 7, 1862, as a result of which he became permanently disabled in both arms. At the close of the great struggle he took an honorable part in solving the many problems which called for solution at the hands of patriotic men. Possessed of an always pleasing personality and an eloquence which charmed everyone who listened to his magnetic utterances, his influence was almost unlimited over his fellow citizens. He was selected for various high, important positions by different Presidents without regard to political affiliations, though he himself always was known as a Democrat. He served for years as United States Commissioner of Pensions, and a United States District Attorney at Chicago. He was elected a member of Congress-at-large from the State of Illinois. For nine years he held the important office of President of the United States Civil Service Commission. The honors gladly conferred upon him by those who ha been his comrades in the Army were almost without limitation. He was a member almost from its organization up to the time of his death of George H. Thomas Post No. 5 Grand Army of the Republic; was Department Commander of the Grand Army of the Republic, Department of Illinois was Commander-in-Chief of the Grand Army of the Republic, and was an original member of the Grand Army Hall and Memorial Association of Illinois. Wabash College where his collegiate education was obtained, made him Trustee and conferred upon him the degrees of A. B. an A. M. Knox College, of Galesburg, Illinois, honored itself by conferring upon him the degree of LL. 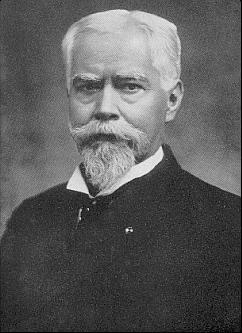 D. He held many other honorary positions which were conferred by the people and public bodies, such as member of the Board of Trustees of the Illinois Soldiers' and Sailors' Orphan Home member of the Board of Managers of the National Home for Disabled Volunteer Soldiers and Sailors. He was highly distinguished as a soldier. He took leading and puissant part in preservation the life of the greatest Republic the world has ever known. For more than half a century after the close of the Great War he was known and honored from ocean to ocean as one who, in these various important official positions in civil life, rendered an invaluable service to the Government and people of the land he loved. He was one of the finest types of the American soldier. His heart throbbed with patriotic fervor from his earliest youth and, as was said, when lie heard the call of President Lincoln in 1861 for loyal men to defend the Constitution an the flag of his country, he was among the first to respond. No young man in the land had finer prospects of success in the profession to which he aspired and in the amassing of wealth and gaining of honors in civil life than he, for he had a natural ability of the highest order and an education which fitted him to fill any position in the gift of the people. He had a character on which no spot or stain was ever found. His was a genial disposition which attracted all who came within its influence or into his presence, yet he laid all ambitions and hopes for the future on the altar of liberty and enlisted as a private soldier to fight the battles of his country. The experience of the untrained boys, who saw service in the three months' regiments, served as an education which qualified them for a soldier's work, and from their ranks came thousands of those who afterwards led the companies, regiments, brigades and divisions which made up the victorious armies of the Union. General Black's military life is written upon many pages of our history, has been often read, but cannot be too fre-quently referred to. Its perusal cannot but inspire all who read it with the spirit of patriotism and tend to make others anxious to emulate his glorious example. It is the high purpose of those who, in the Grand Army of the Republic, in the Military Order of the Loyal Legion, in the Society of the Army of the Tennessee, of the Potomac, and in the Grand Army Hall and Memorial Association of Illinois, to seek to keep alive the fire of patriotism in the bosoms of those who shall follow. The history of the struggle in which we too had an honorable part, when our comrades pass from our midst, makes it a pleasant and a sacred duty to recall those memories and to preserve the record of them in every place and at every time when opportunity offers. What record can be more inspiring than this of our comrade General Black? To attempt to tell of his valor, of his unhesitating bravery, to give instances of his heroic actions leading his men on the battle field, or tenderly caring for them when sick or wounded, and in caring for and aiding the widows and children of those who fell, a volume would be inadequate and cannot here be entered upon in a tribute such as this. In all the ranks of those who were the companions in arms of General Black or who were at any time associated with him, I doubt if there can be found any who had a greater love than was his for his friends and com-rades. The welfare and happiness of such was ever the first thought with him. He loved them one and all and they love him and loved to honor him. The encampments, Departmental, State and National, were never complete without hearing his stirring eloquence; his tender reference to all who had served in what he always spoke of as "The Great War" and his deeply pathetic allusion to incidents coming within his own personal experience in camp, on the march, and on the bloodstained battle field. The writer has often heard him say that one of the chief pleasures of his life official position was when, as Commissioner of Pensions, was able to help out a comrade, or his widow or children by giving to such the benefit of the doubt, if doubt there was when their claim was meritorious, though the strict a technical evidence might not be as complete as he wished was. Every such one knew that the judge who was to pa upon the case would, as judges always ought to, construe doubts in favor of the men who had in the hour of peril to their country performed a faithful service. General Black left surviving him the loved wife of h early manhood, an invalid whose ill health was to him a lasting sorrow, a son, John D. Black, also a member of the Commandery, a leading lawyer of Chicago, whose character and gift of eloquence make him worthy of such a father a daughter happily married to Captain Stephen Abbott, United States Army, retired, and a grandson, John Black Vrooman, the son of his daughter Grace, deceased. His memory cannot be taken from us. His hearty hand grasp, his genial smile and pleasant greeting is a treasure the memory of which shall not end, but be renewed, we fond hope, when we shall join him and so many loved ones, who were our comrades in the days that tried men's souls, on the other shore. And the battle of life be done." 1) 1923. Memorials of Deceased Companions of the Commandery of the State of Illinois, Military Order of the Loyal Legion of the United States. From: January 1, 1912 to December 31, 1922. Published by the Commandery. Chicago, Illinois. Volume 8, p.262-7. 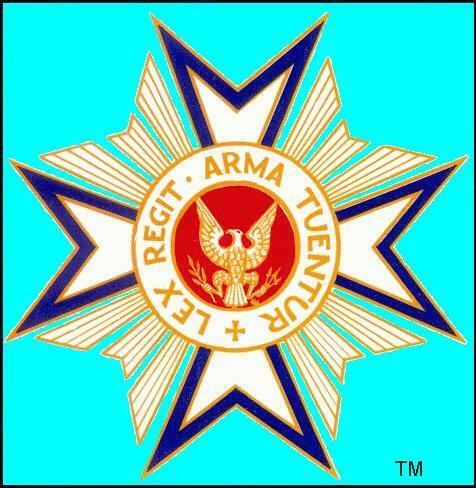 Copyright © 2005 Douglas Niermeyer, Missouri Commandery, Military Order of the Loyal Legion of the United States.